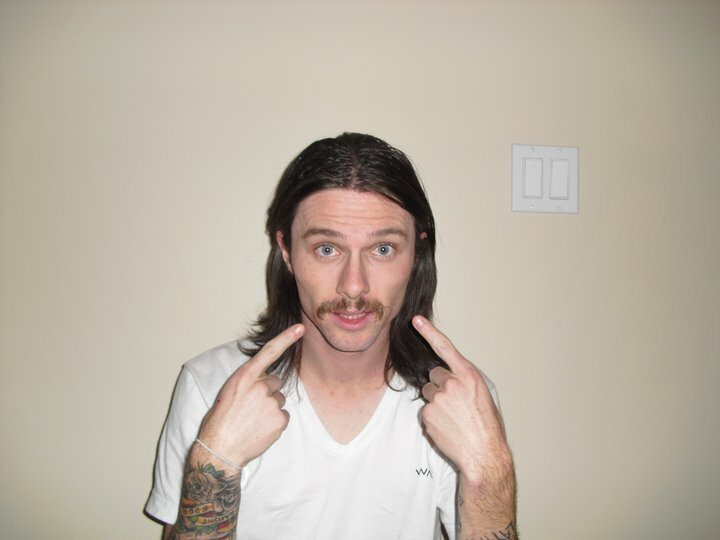 -The Moustache Aficionado-: Oh, you mean dis guy!? Oh, you mean dis guy!? Michael James: looks like Fubar, lost our "Mo' Growing Contest", and shows that Movember can last all year long. With a stache' this greasy, who needs a shower?